Contains No Starch, Salt, Wheat, Gluten, Yeast, Milk, or Soy Derivatives. -Orgen-FA® ia a registered trademark of Orgenetics, Inc.
-NutraFlora® is a registered trademark of CPIngredients, Inc., used under license. 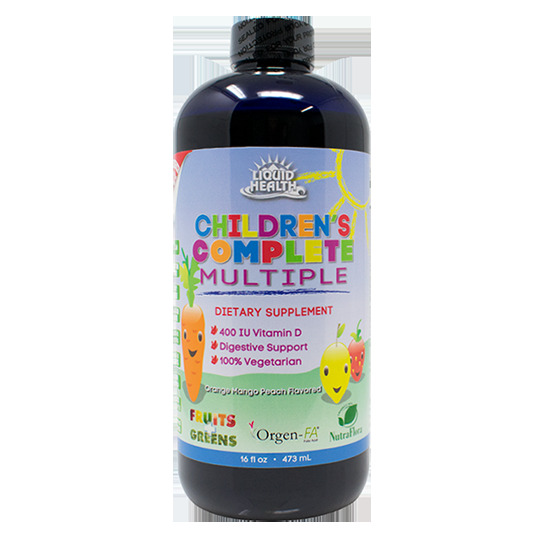 Children 1-4 years: 1/2 tablespoon. Children 4-12 years: 1 tablespoon. Protect from heat, light, & moisture. As with any natural product, color and taste may vary.